So I live in a little apartment and having places to store stuff is always an issue. I’m always trying to think of creative ways to organize all my stuff and use any extra space I have. Around the beginning of the year I was discussing with my mom that I was thinking about getting baskets for above my cabinets for extra storage because it seemed like wasted space to me. But I never found anything I could just not live without. So, we were at a restore with my aunt and we found some old drawers and were talking about all the things we could do with them. Though the space above my cabinets is too short for the length of the drawers I got so instead of cutting down the drawers I had my boyfriend help me make some boxes that fit perfectly into the space. 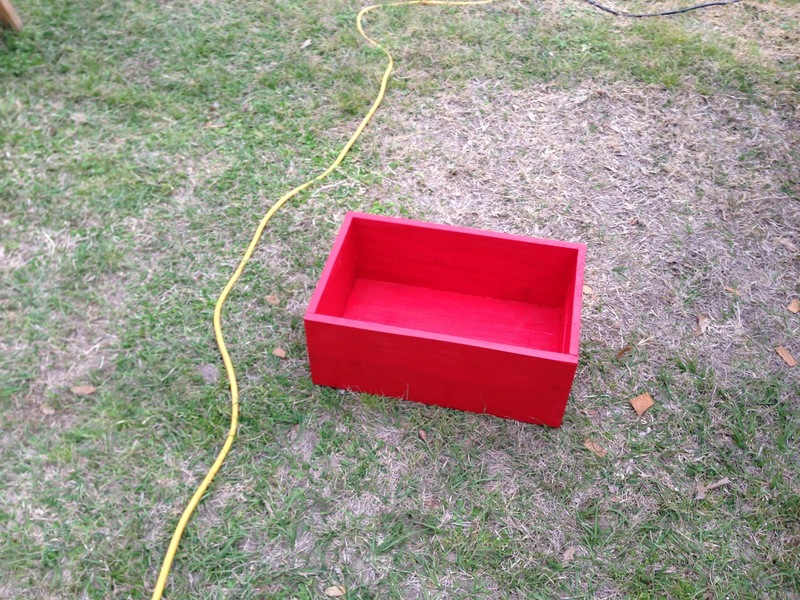 Here is what the box looked like while painting it. Here are some of the boxes while we were painting them along with a drawer I decided to put on top of my fridge for a little more storage space. 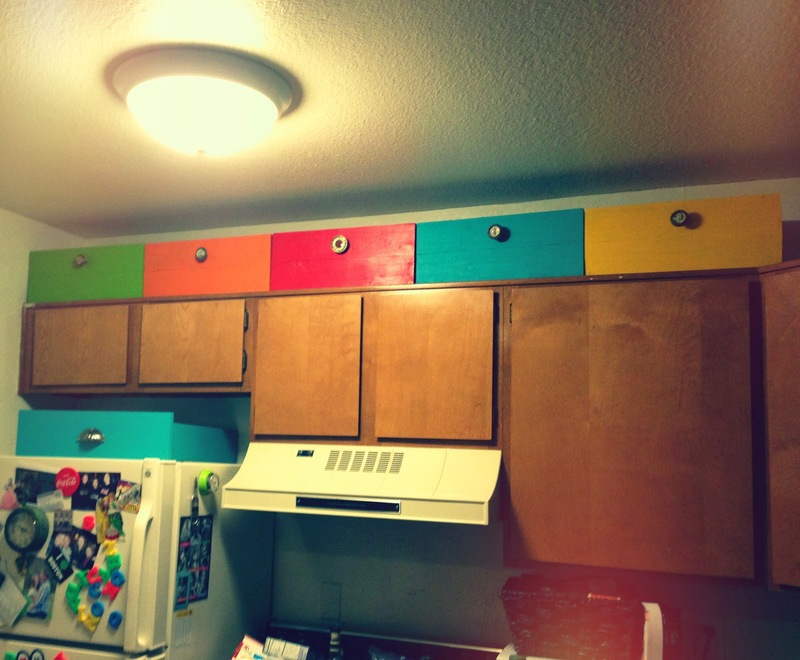 Here are the boxes on top of my cabinets. I decided to put little knobs on them to make them look like drawers. It also helps when I’m getting them off. I also bought a little step ladder that folds up next to my fridge so that I can easily get to my boxes. While in the process of making my boxes I was trying to figure out a way to label them and I got some chalk board paper. Its kind of like vinyl you can take it off and put it back on almost any surface. I was going to put this on the front of the boxes but I didn’t really like it. 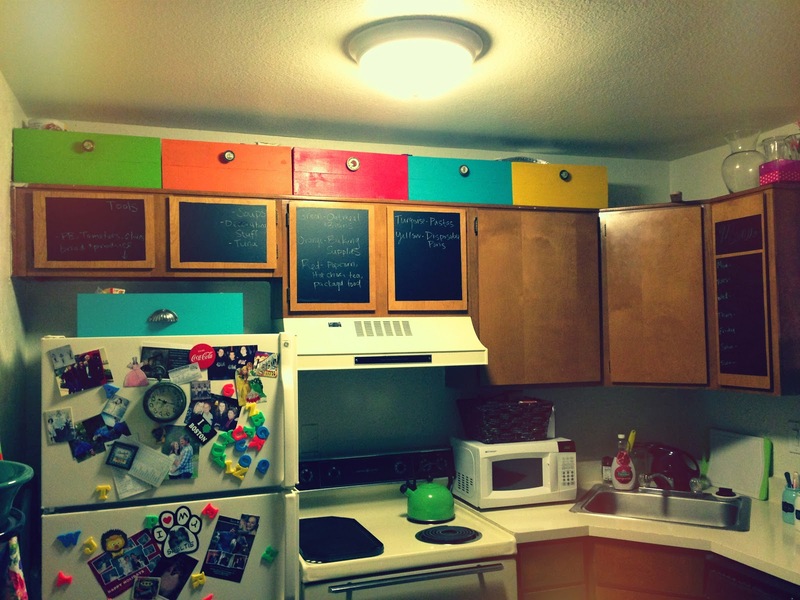 So I started playing with it and decided to make all my drab apartment cabinets into chalk boards. On the two cabinets in the middle I have labeled whats in all the boxes and on the others I write my menu for the week and other little things. I feel like it changed up the complete look of my boring little kitchen. This was my easy way to jazz up my apartment kitchen since I can’t paint any of the cabinets or really change much up in my apartment. 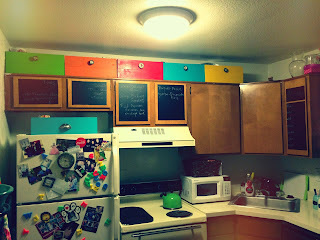 I love the way my kitchen looks now! I’m going to submit this project to My Repurposed Life in hopes to be featured on her awesome blog! Check out some of her cool post! 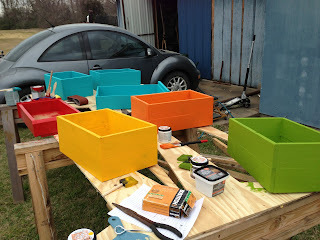 This entry was posted in Crafts, DIY, Organizing, storage by craftdictator. Bookmark the permalink. Those turned out really cute! I eye spy our phi mu photo!! well, I liked your idea and decided to “catch” you before I read that snippet at the end… but then I knew I had to catch ya! Thanks! It makes me happy everytime I walk into my kitchen!